While electronic cigarettes were first patented in the 1960s, it wasn't until 2005 that one was actually manufactured. They were created as a smoking cessation aid by a researcher who was desperate to stop smoking tobacco products. In just over 12 years, the technology has taken off and created new subcultures, as well as helping people quit smoking or reduce tobacco use, with no ill effects as a result. These days, vaping is the new in thing – no longer just a hobby, but a lifestyle. Although many had decided to first start vaping because they heard how effective it could be when it comes to smoking cessation, many choose to vape not only to help kick a nicotine habit, but to have a healthier and happier life as well. Vaping can be quite relaxing after all, and it’s no surprise that many people truly do patronize it as a great way to spend time and to relieve stress. In the broadest, most general definition, it's any device used to vaporize the active ingredients in dry herbs or a liquid solution. Common products used include cannabis, tobacco, or vaporizer oil / liquid. Electronic pipes, e-cigars, ecigs and cigalikes, vape pens, vape mods, and box mods are all vaporizers by this definition, which refers to how the devices work. Yes, it is common to find different variations of vaporizers these days: herbal vaporizers, marijuana vaporizers (for those who are smoking cannabis for medicinal purposes), electronic cigarettes, e-pipes and e-cigars. A note for clarity: often e-cig is used as a blanket term for any electronic smoking device, including vaporizers, or the terms are used interchangeably. However, neither is correct. In fact, the opposite is true. All electric cigarettes are vaporizers–again in terms of the function of the device, but not all vaporizers are e-cigs. E cig refers to a specific type of vape–the small devices, often disposable, that look like analog (real) cigarettes. Ecigs are also called smokeless cigarettes, because they look exactly like cigarettes without actually producing any smoke. Another common term for these small devices is cigalike ("cigarette lookalike"), a clever little nickname coined by enthusiasts. As the name suggests, vape pens are slim, pen-like personal vaporizers. Pens using e-juice are still the most common type, but styles that vaporize dried herbs and others that melt wax for aromatherapy are also available. There are also multi-function styles that can handle ejuice, wax, oils, and herbs. Multi-function styles are not as common, but truly are a lot more convenient in the long run, simply because you will have quite a lot of options at your hands and you are not just limited to cartridges and e-liquids. Vape pens, of course, have many different advantages and disadvantages. Here are some of their pros and cons for your consideration. • Portable and easy to put in your pocket or small bag so you can travel around with them without feeling them. • Suitable for nearly all vapers; there are types available to vaporize wax or oil and dry herb in addition to e-liquid. • Unless you have a multi-use vape, you need a separate device for each type of material you want to vape. If you want to try some vape pens, check out ePuffer’s wonderful selection so you can see what choices are available to you. Buy an ePuffer Vape Pen kit now to see what all the hype is about! Also called Advanced Personal Vaporizers (APVs), these are commonly referred to as mods because they stem from early efforts at creating objects similar to ecigs by MODifying objects like metal flashlight tubes to hold an atomizer and liquid nicotine. Vape mods are basically vaporizers that were created and custom built by enthusiasts, though there are some kits these days that can be purchased for anyone to modify. Vape mods also have their very own pros and cons, and here are some of them for you to consider before you purchase them. • Very durable – on their own, these devices are often rugged enough, some of them are workhorses and can really handle a lot of things and daily wear and tear. You can also customize the build of yours if you want a more rugged device that can handle whatever you throw at it. • Fully customizable – the choice is in your hands! • Bulky–not as portable as a vape pen. Some of the modded builds can get really big and bulky, and as a result can be difficult or even impossible to pocket, especially if you often wear tight pants. • Can be very pricey. Options often come with a price, after all. • Higher learning curve–more complex to use and novices are cautioned against starting out with this type. However if you’re really gung ho about it, you should go right for it – it’s definitely fun to learn! E-Puffer can help you get started – try one of our kits now! What is dry herb vaporizer? A dry herb vaporizer ( ePuffer Cosmos ) is a device that can be used with loose leaf herbs. 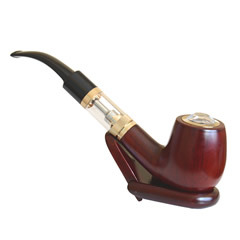 The tobacco vaporizer and weed vaporizer also fall into this category. Some herb vaporizers come in a hybrid that lets you use oils or herb. 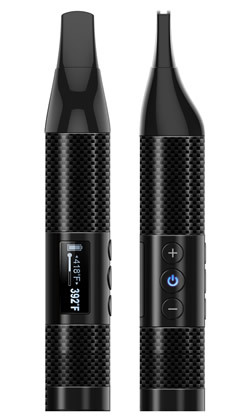 Both types of vaporizers come in both desktop and portable styles. Desktops use a/c power, and provide more powerful delivery. Desktop vapes offer several methods to deliver the vapor. Portable herbal vaporizers are less expensive than the desktop models. An herb vaporizer requires a lot of heat; this is not a problem for desktop units, but it's very limiting with a portable herbal vaporizer. Because more heat is required, the chamber that holds the herb can only hold enough for several smoking sessions. A box mod is a type of vape mod with variable voltage that allows the user to easily control the voltage and wattage of the device with ease (literally at the touch of a button). Box mod vapes are most beneficial to vapers who want adjustable power. Those who want to be able to upgrade the ecig mod's software when it's released without having to buy a new device will also benefit from this style. These are surprisingly inexpensive. In fact, many models cost less than $100. Most parts in a vape, excluding disposable vapes, are replaceable. The heating coil/atomizer, clearomizer / liquamizer, battery, and tank cartridges, can all be replaced, or alternated if you buy spares and switch them out. This actually allows you to customize your vape pens and vape mods to your liking so that you can get them exactly how you like them. Try out ePuffer’s massive selection of vaporizer replacement parts and get modding! There are a variety of accessories available for vaporizers. Lanyards, a/c adaptors for quick charging, carrying cases, travel pouches, and car chargers are among the more popular. Skins that fit over the device are available as are personal air filters–containers that you exhale into, useful for stealth vaping or when you're vaping something particularly strong smelling. Odds are good that, if you can conceive of it, someone has created it so if there's an accessory you're looking for, head over to Google (or your search engine of choice) and spend a few minutes looking. You don’t have to look too far, however. E-Puffer has a fantastic selection of vaping accessories you can try. Click through our site to shop now! Even rechargeable batteries wear out, and having spares on-hand is always a smart idea, especially when traveling. Replacement batteries ensure you always have a full charge available. Make sure you check if there's a certain type you have to use and get only that type; using a type other than what your manufacturer has specified will likely void your warranty, or ruin your device. 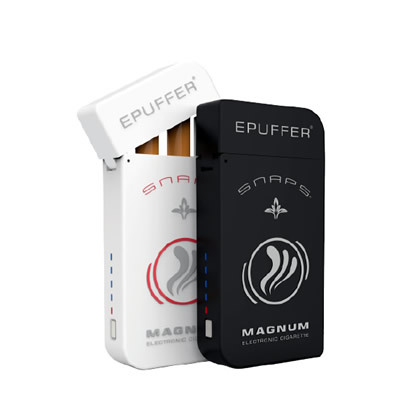 ePuffer is the best place to purchase great quality batteries, especially replacements for your e Puffer vaporizers. The heating coils are, of course, what makes the whole process work in the end. They're generally a part of the atomizer, which is easily replaceable and low-cost. You can purchase vaporizer heating coils right here at ePuffer, should yours need replacing. The clearomizer has your tank for your juice, as well as containing the atomizer. It holds the wicks that become saturated with e-juice, drawing the liquid to the heating coil, which does the rest. The Liquamizer is ePuffer's proprietary clearomizer. You can purchase it right on our website and see the amazing quality. The Phantom HD3 and ePipe 629 are ePuffer's exclusive and most up to date mod vapes. With the starter kit, you get a high quality, highly rated vape mod and all the initial hardware you need to get started plus a free bottle of e-liquid, for less than $40. As always, it's backed by ePuffer's 30 day, no questions asked guarantee and our 1 year limited warranty. We also carry vapor cigarettes including flavored disposable cigalikes, electronic cigars, and e-pipes. Check out our collection now to get your vaping lifestyle started! Prices depend on the type of personal vaporizer you buy and, perhaps more importantly, the brand. The price of a vape pen may be $32.99 from one manufacturer and nearly $132.99 from another, for a nearly identical model. Ecig mods can run from around $30 to well into triple digits. Always do your own research so you can determine what the best vaporizer is for you; it will help if you're flexible in both price and type. ePuffer vaporizers are reasonably priced, you can check out our selection and see what’s available to you! Vape mods are often not recommended for new vapers. However even if you are new, it's still well worth doing research and seeing what might be new-user-friendly. Some of your decision will likely be based on the aesthetics. Cost is almost certainly going to be a significant factor, but don't limit your research into costs to just the initial purchase price. Parts do need replacing, and those parts will factor into your total cost. Also important are specs such as battery life, ohms/wattage/voltage–if you're not sure what you need in these areas, there are a lot of websites that break it into very understandable information. Finally, if you're planning or hoping to vape more than just ejuice, you also need to consider what mods let you vape which substances. During your research; it pays to read reviews from multiple sites–try for a mix of vaping-oriented and standard retail site. These come with all of the hardware you need to start vaping right away, including a clearomizer, charging cable (often USB), the vaporizer itself, a battery, and often a free bottle of ejuice to get you started. Prices for starter kits vary wildly, so do your research and take your time deciding which to get. If you're not buying a disposable unit, your vaporizer is an investment that is worth taking the time to research. 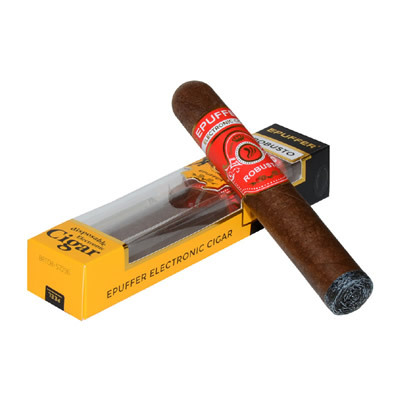 Try some of ePuffer’s starter kits if you want to just try and see for yourself!